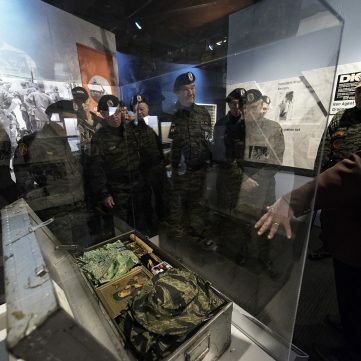 This exhibit contains some graphic content and images of war that may not be appropriate for young children. 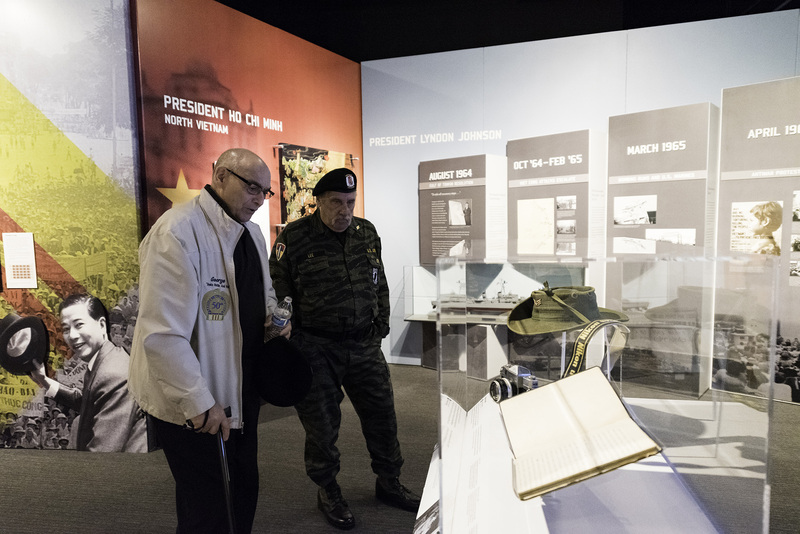 Beginning on April 13, the Senator John Heinz History Center will host a groundbreaking exhibition on a controversial conflict that profoundly shaped American society – the Vietnam War. 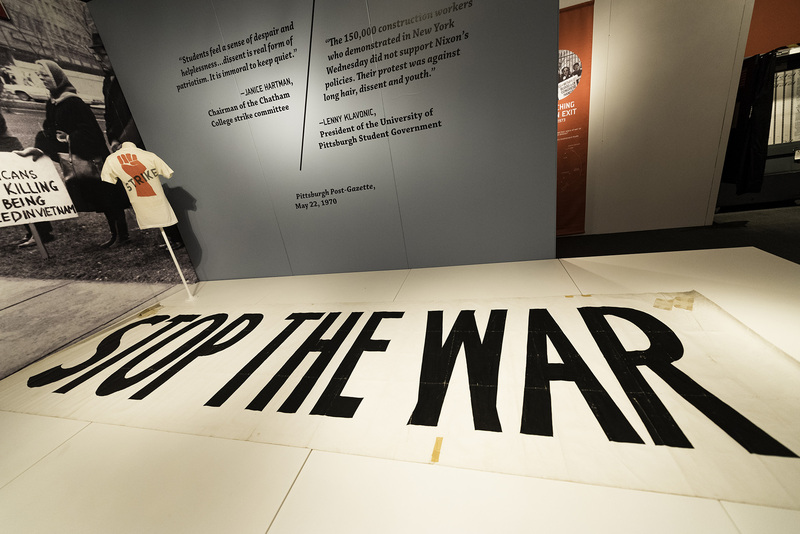 Developed in partnership with the New-York Historical Society, The Vietnam War: 1945-1975 exhibit takes visitors on a journey spanning the duration of U.S. involvement in Indochina, using compelling storytelling, powerful photography, and artifacts that tell the deeply personal stories of the men and women who were impacted by the war. 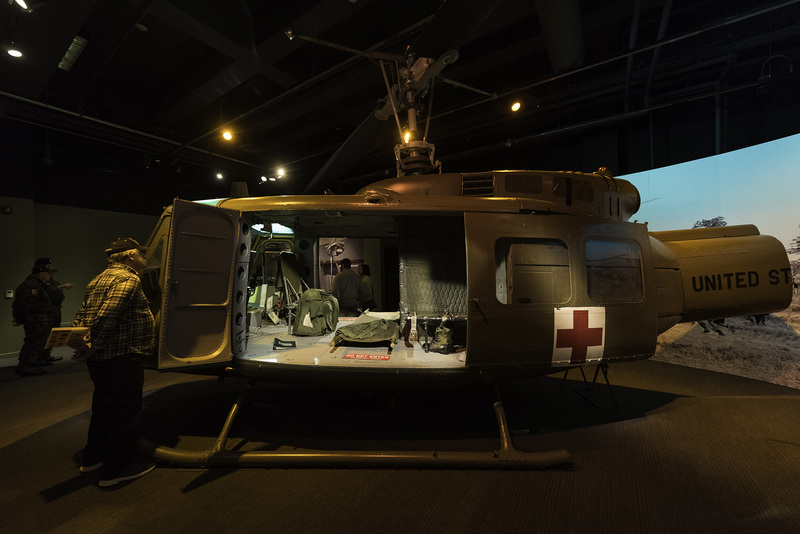 The Vietnam War exhibit’s centerpiece is a UH-1H “Huey” helicopter manufactured by Bell Helicopters in 1966 and used by the U.S. Army from 1967 through 1970 during the Vietnam War. 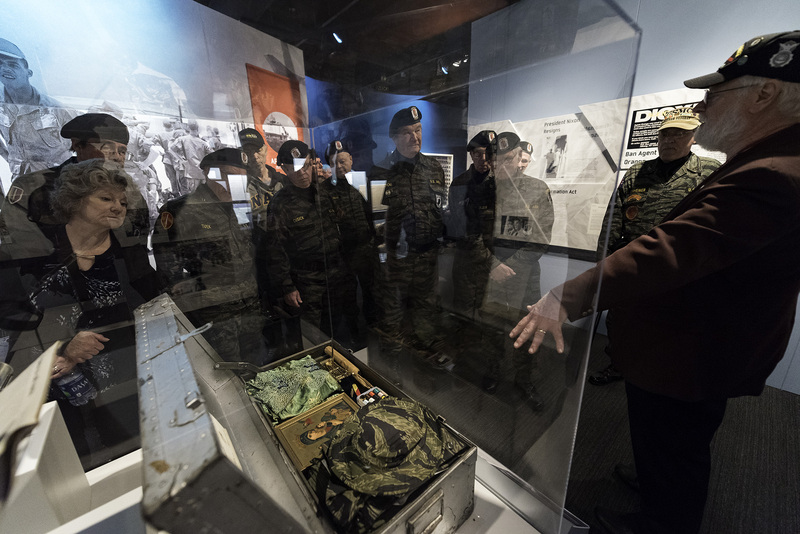 The exhibit will explore themes of patriotism, duty, and citizenship through key artifacts, including a troopship berthing unit, vibrant anti-war posters, artwork by Vietnam vets, a Viet Cong bicycle, the Pentagon Papers, and historical film footage. 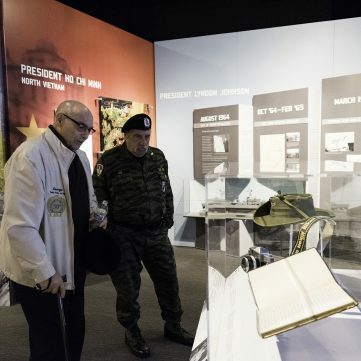 The History Center exhibit will also examine Western Pennsylvania’s role and impact on the Vietnam War, featuring the stories of the thousands of local soldiers and citizens who fought in combat, served in support services, and participated in the political protests and humanity initiatives during and after the war. 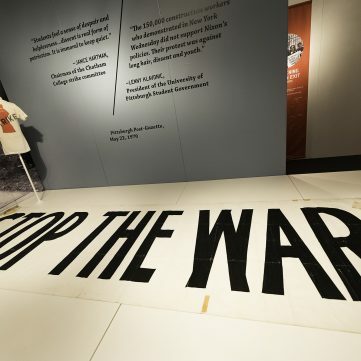 Highlights include cots graffitied by Pennsylvanian soldiers aboard troopships obtained through the Vietnam Graffiti Project, a Viet Cong rocket launcher on loan from Soldiers & Sailors Museum, and striking photographs by Vietnam War photojournalist Eddie Adams, a New Kensington, Pa. native. 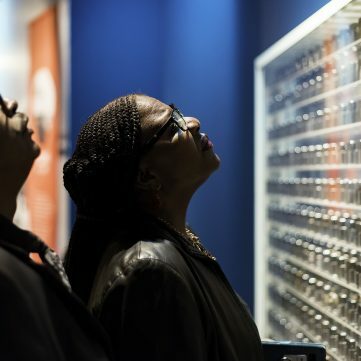 Throughout the exhibit, visitors will experience the soundtrack of a generation with music by legendary artists like Buffalo Springfield, Creedence Clearwater Revival, Marvin Gaye, and Aretha Franklin. 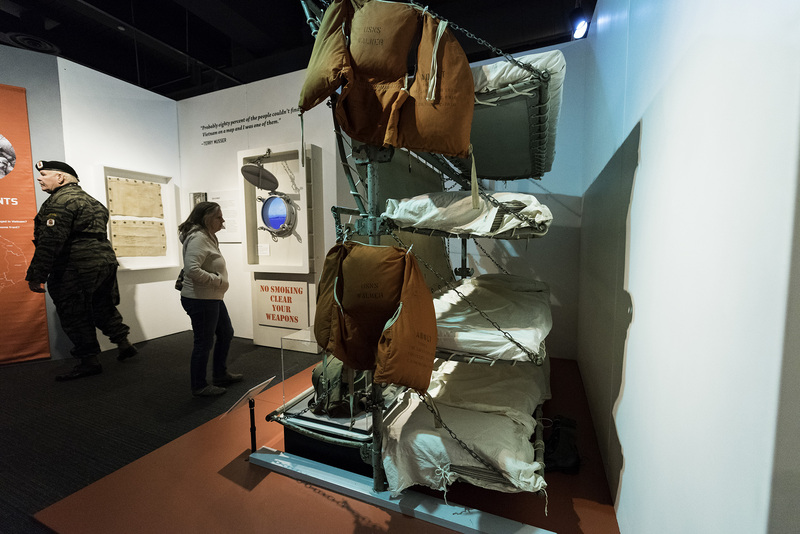 Part of the History Center’s America 101 initiative, The Vietnam War exhibition looks closely at the Cold War, the draft, the growth of the anti-war movement, the role of the president, and the loss of political consensus. 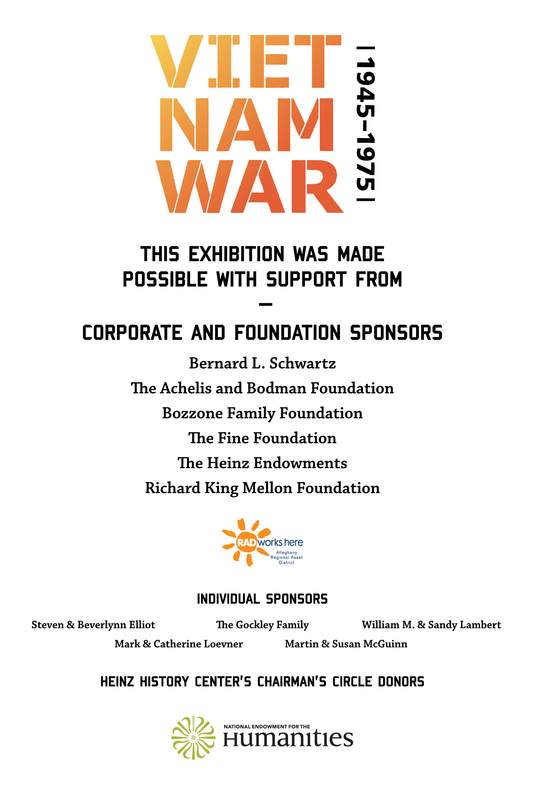 The exhibit runs from Saturday, April 13, through Sunday, Sept. 22. It is included with regular museum admission. 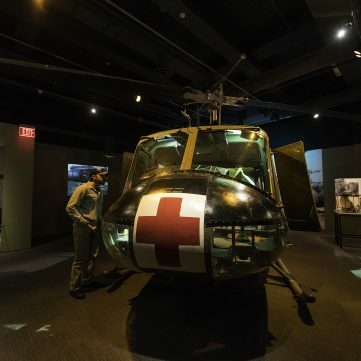 The History Center will offer special free admission days and discounts for veterans and active duty military throughout The Vietnam War: 1945-1975 exhibition run. 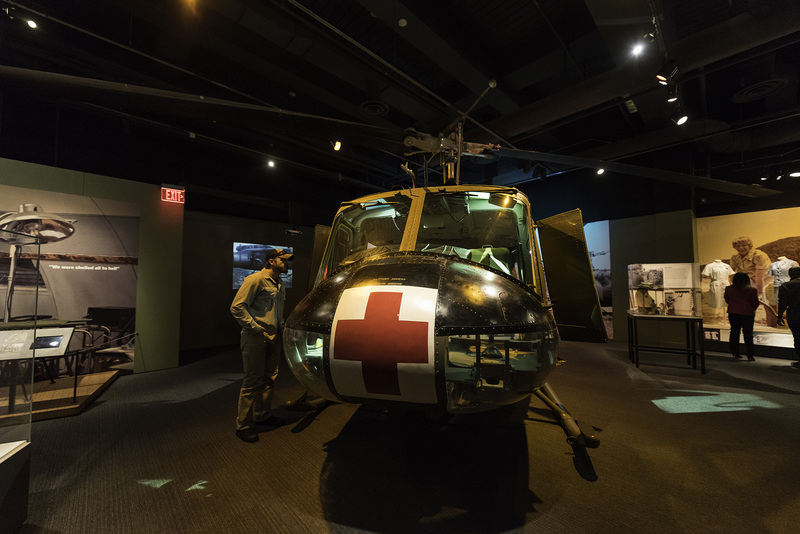 From Saturday, April 13 through Sunday, Sept. 22, all veterans and active duty military will receive half-off museum admission ($9 compared to the regular $18 admission fee). 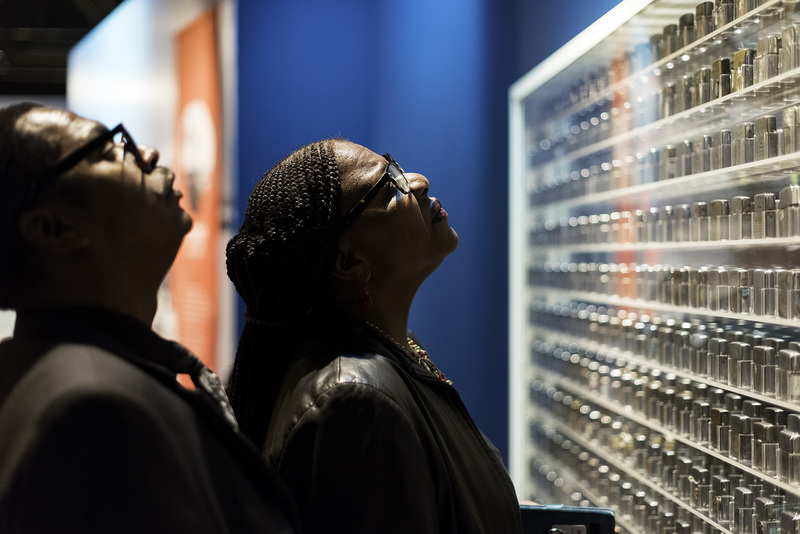 Regular museum admission rates: $18 for adults, $15 for senior citizens (62+), $9 for students with a valid school ID, $9 for children ages 6-17, and free for History Center members and children ages 5 and under. 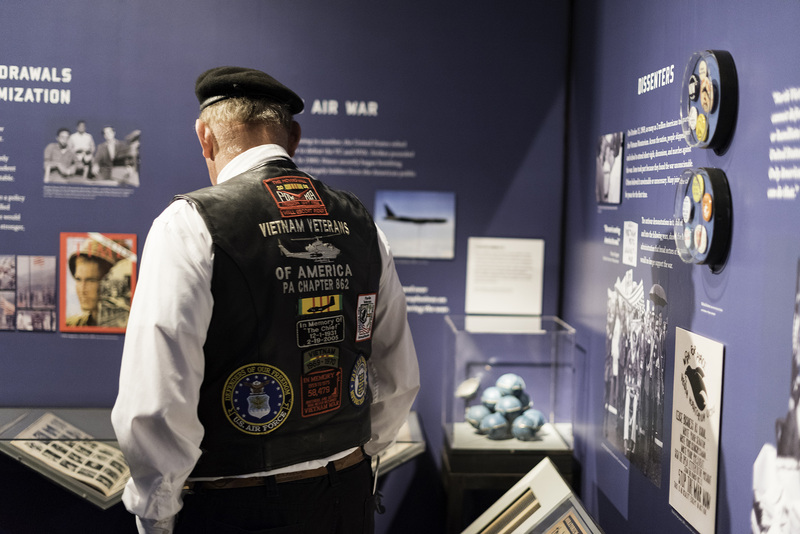 Speak with an eyewitness to history who represents one of many diverse perspectives on the Vietnam War inside the History Center’s The Vietnam War: 1945-1975 exhibit. 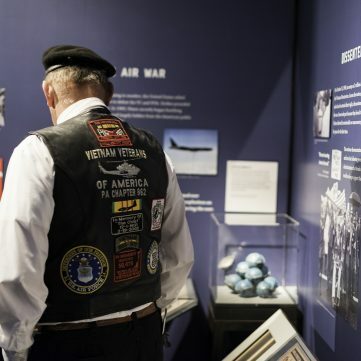 Vietnam Voices participants in the gallery will range from those who served in Vietnam, those who supported the war at home, and those who opposed the war. 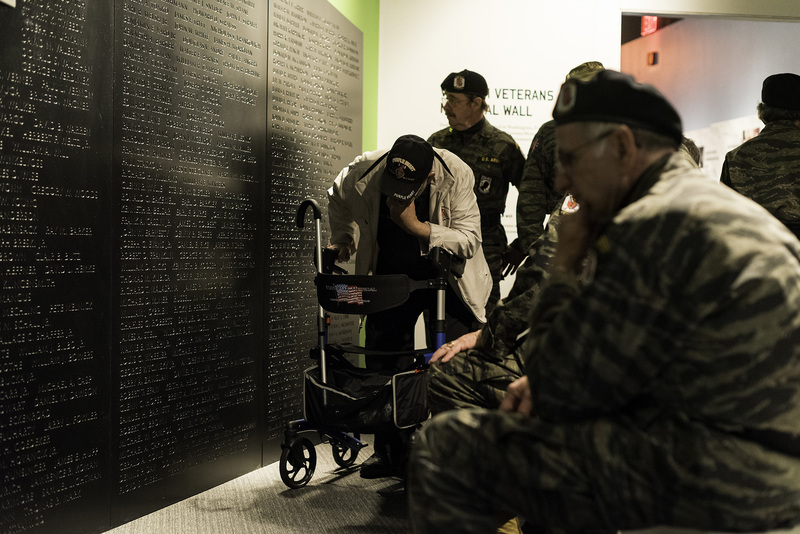 These sessions take place every third Sunday from 2-4 p.m. and on Open-Late Vietnam Film Series evenings and are included with admission. 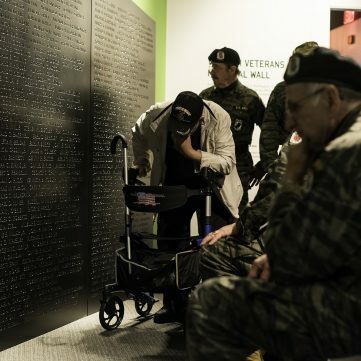 Please note that Vietnam Voices participants will be sharing personal experiences related to war. These stories may include adult themes and language. Interested in being a Vietnam Voice? 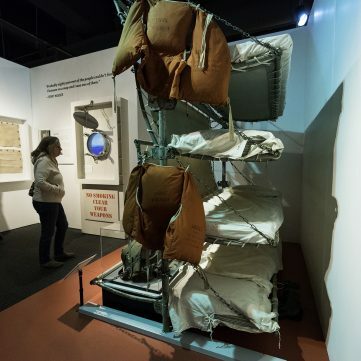 To learn more, please contact Laura Myers at 412-454-6428 or lfmyers@heinzhistorycenter.org. 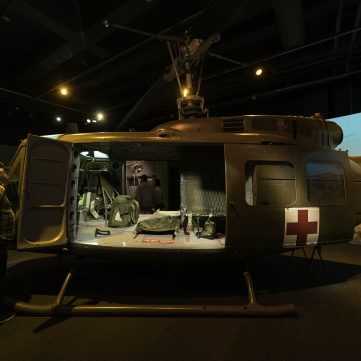 The Vietnam War exhibit’s centerpiece is a UH-1H “Huey” helicopter manufactured by Bell Helicopters in 1966 and used by the U.S. Army from 1967 through 1970 during the Vietnam War. Watch this timelapse video for a behind-the-scenes look at how this massive artifact came together inside the Heinz History Center.